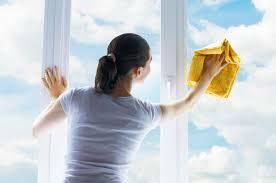 PHS Job 386, Live-in Housekeeper / cook, Full-time, Belgravia. We are now urgently looking for a Housekeeper/Cook who knows Asian cuisine very well and knows how to follow the recipes. The principals are a lovely family of 5 people living in a large 6 story house in Belgravia. Separate bedroom with shared bathroom. All meals included. Though there will be no child-related duties, there are 3 children in the family. That is why the perfect candidate must love children and know how to work having them around.